I am not really from Cebu and wished to discover new adventures in the place. I'm not familiar with the place when a friend recommended me Subai Cebu. 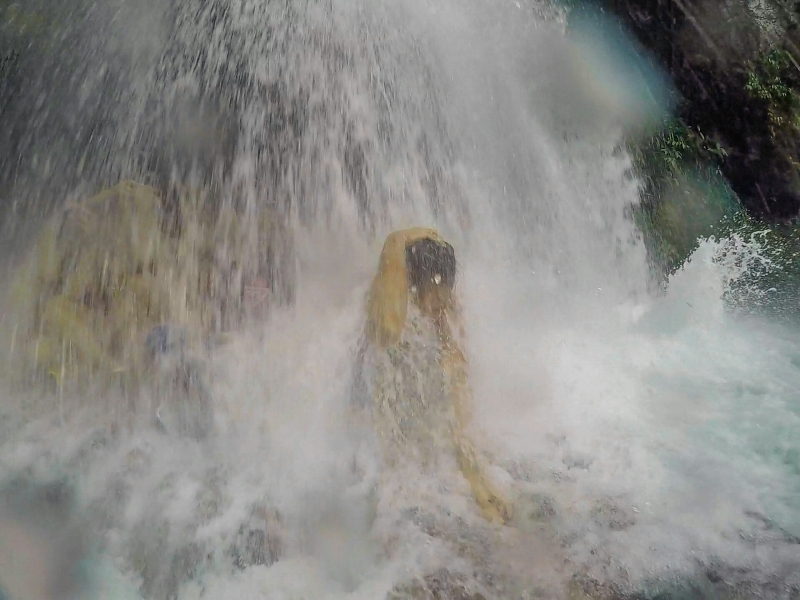 They introduce one of their packages Canyoneering and was really excited when I checked the activities included. 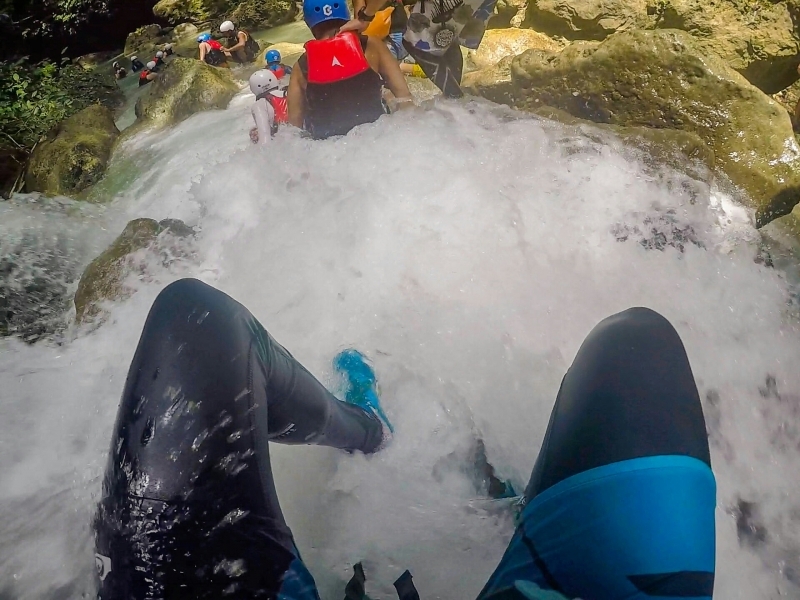 The canyoneering would really require your strength and stamina, most of all the will to go on a wild adventure. 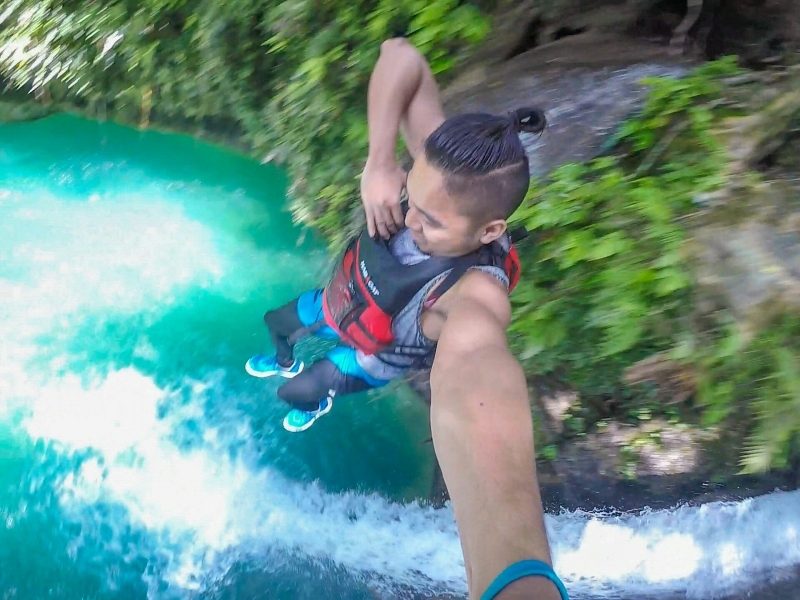 I booked with Subai cebu, what's so cool about it, they're lending their Gopro camera to capture most of our experiences (was with friends at that time). It was a smooth ride since the driver was very friendly and smiling. Never experienced a bit of boring moment during the trip. When we arrived at Kawasan Badian, the staff were accommodating and provided us with complete gear for safety purposes. The gears were so helpful especially when some of my friends easily gets cramped legs when swimming. I never had so much fun in my life. 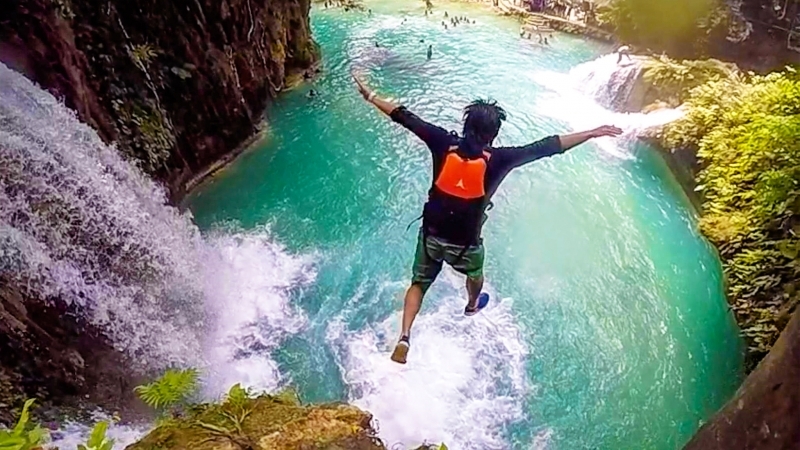 Jumping off from 45 feet may leave you in doubt at first, but if you just gather all your courage, it's worth it. It left me with butterflies on my stomach - in a very good way. To top it all off, it was the most daring adventure for me. I will never forget my experience during the entire activity. 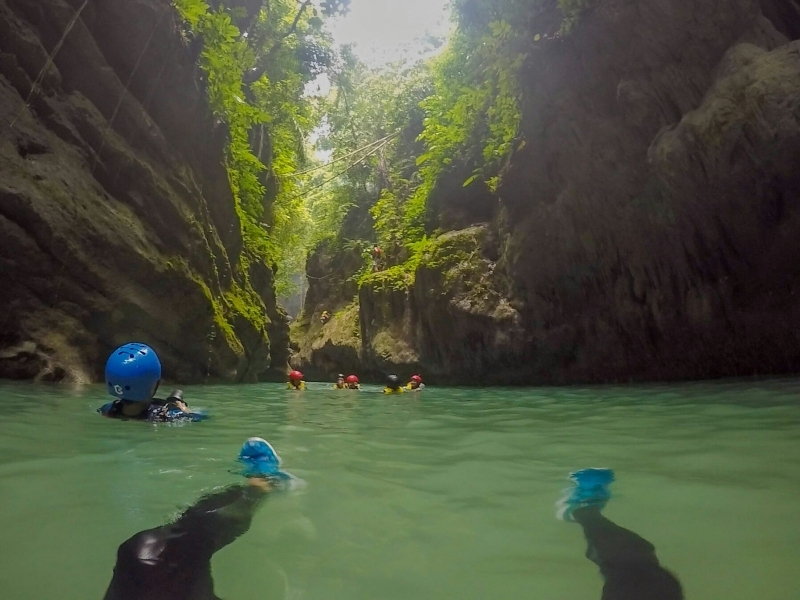 For those, who have never tried Canyoneering in Badian, Cebu, I would highly recommend you visit the place, it's worth every penny. And if you're not so familiar with the area, you can check out and contact subai-cebu.com, they have very accommodating staff. 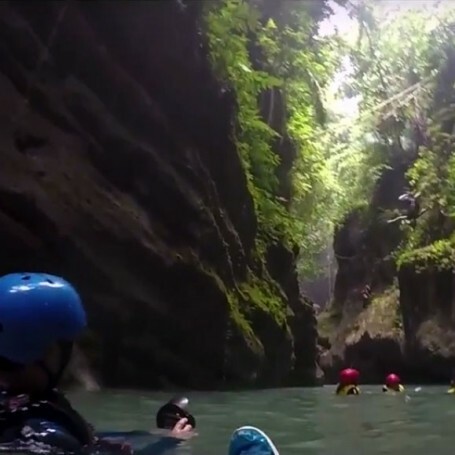 When you visit Cebu, Philippines, you should definitely try Canyoneering. Going there is already an adventure. From Cebu City, it is a 3-4 hour ride. Once in Badian, you have to ride the habal-habal to the jump-off point. The trail have 3 major jumps and the highest is 50ft. 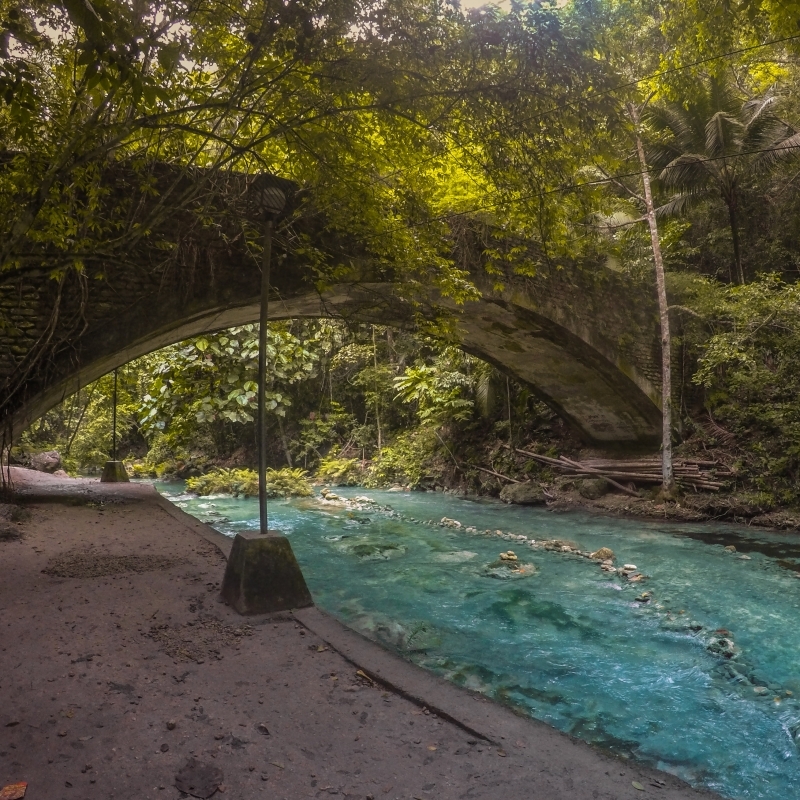 The color of the water is like the blue gatorade and it is really cold. The trail is not easy but it is an experience worth trying. 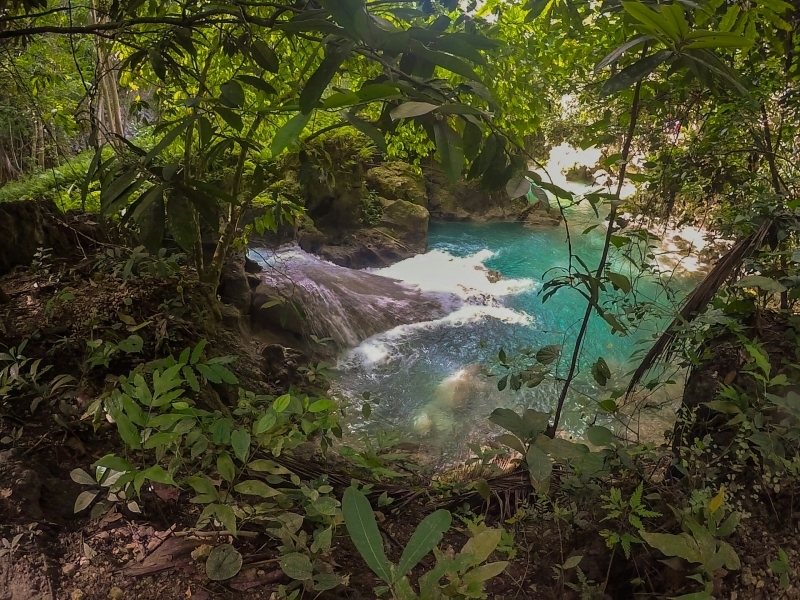 After the Canyoneering, finish the tour with a natural massage of the Kawasan Falls. Watch the video for a preview of the whole experience.